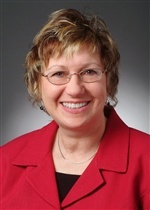 Pat has been with Cleary Insurance since 1985. She has been in the insurance industry for well over 30 years. Pat has had her insurance license for over 25 years, and has a Certified Insurance Counselor (CIC) as well as her Certified Professional in Personal Lines (CPPL) designations. She is a wealth of knowledge and a valuable member of our team!